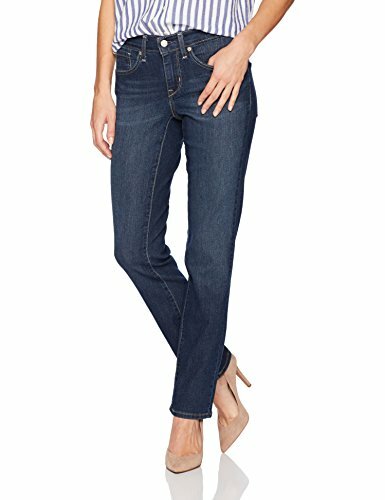 Signature by Levi Strauss & Co Women's Curvy Straight Jeans, Awaken, 16 Short | What Should I Say? Signature by Levi Strauss & Co. Gold Label Curvy Straight Women’s Jeans offer quality craftsmanship and authentic style backed by over 160 years of denim heritage and expertise. Crafted from premium, super stretchy Simply Stretch denim that won’t bag out and keeps its shape all day, our Curvy Straight Jeans hug your curves for a perfect fit and features a contoured waistband that fits to your waist to eliminate gapping. Look and feel Simply Amazing in stylish and versatile Simply Stretch Curvy Straight jeans. Quality you trust from Levi Strauss & Co., established 1853. Please note that product packaging color may vary.